Critical questions will arise about defining and measuring value in the patient encounter when the Medicare Access and CHIP Reauthorization Act goes into action. At the beginning of last year, the Centers for Medicare & Medicaid Services (CMS) set the audacious goal of having 30% of Medicare fee-for-service payments in value-based alternative payment models (APMs) by the end of 2017. In March 2016, CMS announced Medicare had reached that goal, a year earlier than anticipated. 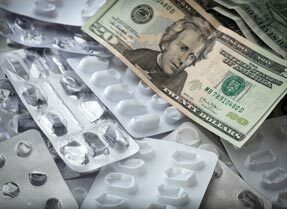 Once the powerful payment incentives created by the Medicare Access and CHIP Reauthorization Act (MACRA) kick in starting in 2019 (which really means that physicians need to be successfully participating in value-based payments as soon as next year), the push to convert Medicare payments to value will only accelerate. Critical questions underlying all of this, though, are what is “value,” who defines it, and how do we measure it? Value is often expressed in economic terms, as in getting the most value (the best possible outcomes at the lowest possible cost). But for patients, value can also mean aspects of care that don't directly involve money, such as a physician's empathy and compassion. 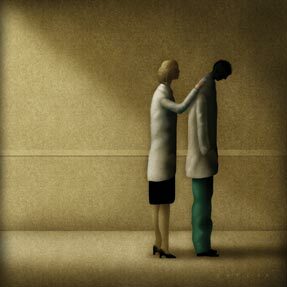 For physicians, value may center on the precious minutes they spend each day with their patients: How often do we hear doctors say, “The thing I value most is the time I spend with my patients,” even as they are beset with time-consuming administrative tasks they perceive as offering no “value” to them, their patients, and their practices? The worry among many physicians is that the push to value-based payments could actually lead to conflicts in these competing definitions of value if, for instance, time spent on reporting on quality and efficiency metrics takes time away from patients. Another worry is that quality measurement may lead to physicians becoming less empathetic with “noncompliant” patients, who might cause them to get lower scores on quality measures. A necessary starting point to preventing such conflicts must be to get the “right” measures of value. To this end, in a recent 42-page letter to CMS, the American College of Physicians called on CMS to “reimagine” performance measurement, starting with scrapping the measures currently used for Medicare's existing Meaningful Use, Physician Quality Reporting System, and Value-Based Payment Modifier programs. The letter stated, “The College strongly recommends that CMS actively work to improve the measures to be used in the quality performance category of MIPS [Merit-Based Incentive Payment System]. Therefore, we believe that CMS should NOT consider the existing quality measure sets within Physician Quality Reporting System (PQRS), Value-Based Payment Modifier (VBM), and Meaningful Use (MU) as the starting point for its measure development plan. “In the short term, ACP recommends that CMS utilize the core set of quality measures identified and recently released by the America's Health Insurance Plans (AHIP) collaborative ... Further, the College recommends that CMS consider the recommendations made by ACP's Performance Measurement Committee with regard to measure selection within MIPS. related to clinical conditions prioritized to have the greatest impact on improving patient health. Instead of creating conflicts among the different ways that payers, physicians, and patients define value, we need to strive for alignment. For Medicare value-based payments to really produce better value for patients, physicians, and payers alike, the goal must be to design measurement around models of health care delivery that result in good-quality outcomes with greater efficiency, allow physicians to spend quality time with their patients, and reduce administrative tasks that add no value to the patient-physician relationship. This, not what percentage of Medicare payments are based on current definitions of “value,” would be truly a reason for celebration.